If you are looking for a place for outdoor skating or hockey this winter season then you must check out Palgrave, Ontario. 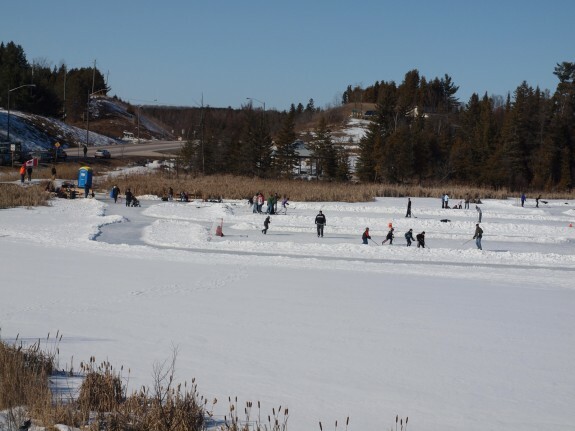 Located in north end of Caledon, you are able to skate on some cleared paths and there is also local hockey on the pond area (which is actually the Humber river) just on the north edge of the town. Local volunteers maintain and clear the ice for use, warnings are also posted if the ice may be unsafe for use. You can park either along side Hwy 50 or in the small parking lot by the Palgrave Rotary Park beside the newly constructed Gazebo. Posted: March 7th, 2010 under Caledon, Palgrave, Photos. Just wondering if the palgrave pond is open today for skating? 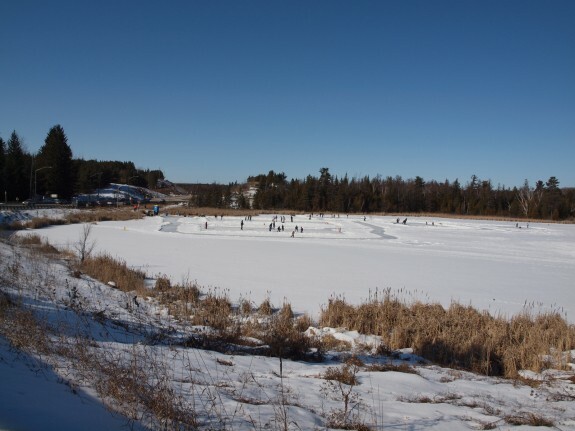 Hey guys, can I show up with a few buddies Sat afternoon and have space to play some puck? How busy does it get there regularly?